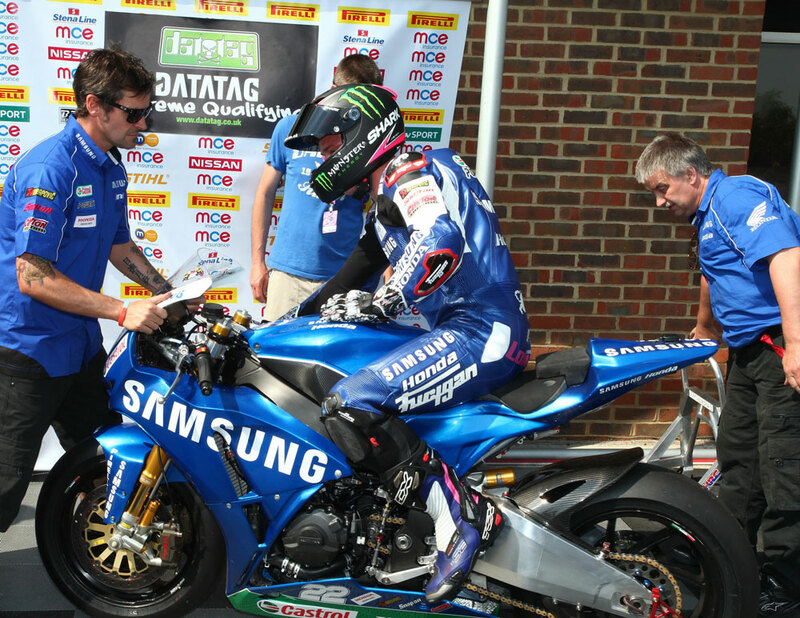 Rapid Solicitors Kawasaki's Shane 'Shakey' Byrne turned his frustration in the opening MCE Insurance British Superbike Championship race at Snetterton into a win in race two as he fended off Alex Lowes to end the weekend with victory. 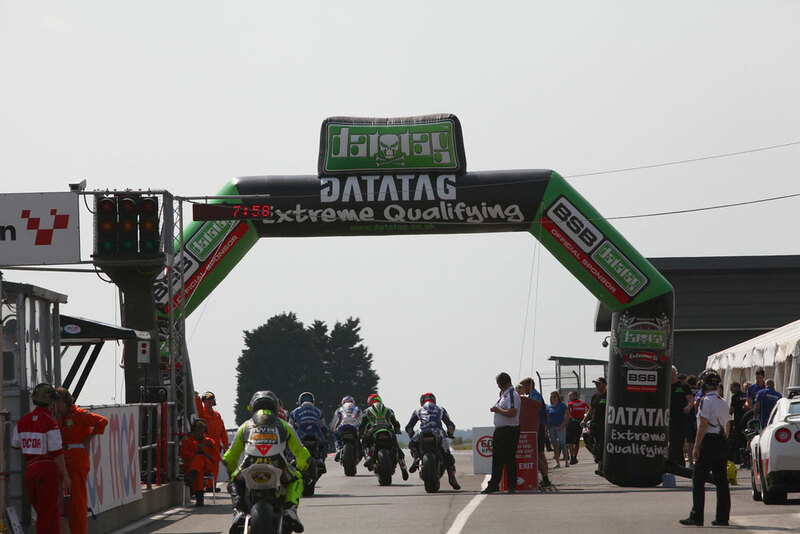 Byrne took the lead on the opening lap from Brookes and James Ellison with James Westmoreland in close contention. The pack was in close contention when Jon Kirkham crashed at Williams, taking down Robbin Harms with him and the incident bought out the Nissan GT-R Safety Car for three laps. Kirkham and Harms were both able to walk away but the Danish rider suffered a wrist injury in the crash. 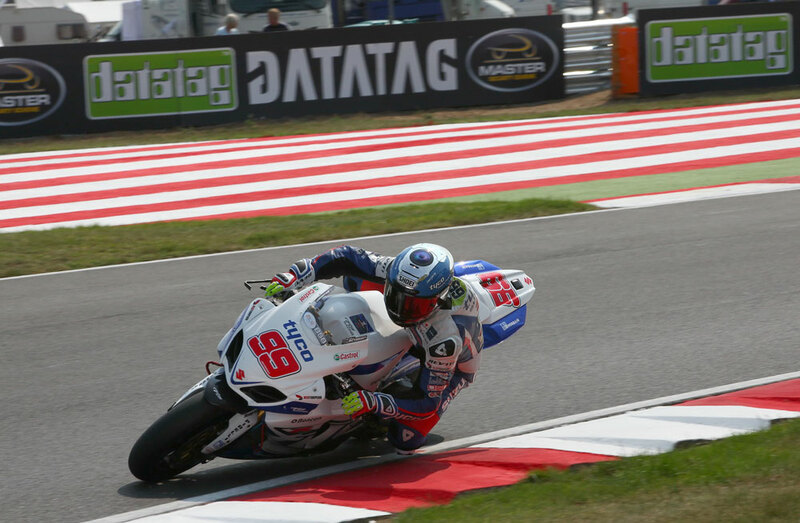 The race continued and Brookes was shadowing Byrne for the lead, the Tyco Suzuki rider waited until the eleventh lap when he closed in on the Rapid Solicitors Kawasaki on the run down the Bentley Straight. The Australian was dramatically forced to run across the grass at Brundle to avoid contact with the Championship leader which dropped him back to a distant third as Byrne and Lowes continued to push at the front for the win. Race one winner Lowes was trying to find a way past on the final lap but he was forced to settle for second with Brookes third. Ryuichi Kiyonari had been having his own on track battle with James Westmoreland; the triple champion was able to push ahead of the Buildbase BMW and move up to fifth in the overall standings. Chris Walker made amends for his retirement in race one with a sixth place for Quattro Plant Bournemouth Kawasaki with Josh Waters claiming his best result of the season so far with seventh. Lloyds British GBmoto Honda returned to the top ten with Dan Linfoot who held off James Ellison as the Milwaukee Yamaha rider dropped down the order after the safety car period before fighting his way back to ninth. Matteo Baiocco and the Rapido Sport Racing Ducati team celebrated his second top ten finish of the day. 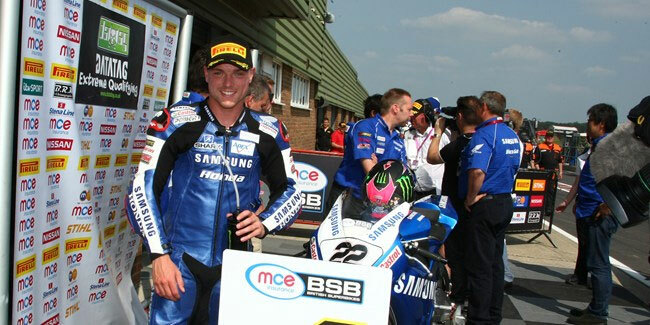 Samsung Honda's Alex Lowes set a stunning pace to claim pole position for the fifth round of the MCE Insurance British Superbike Championship at a scorching Snetterton as he dived ahead of title rival Shane 'Shakey' Byrne. 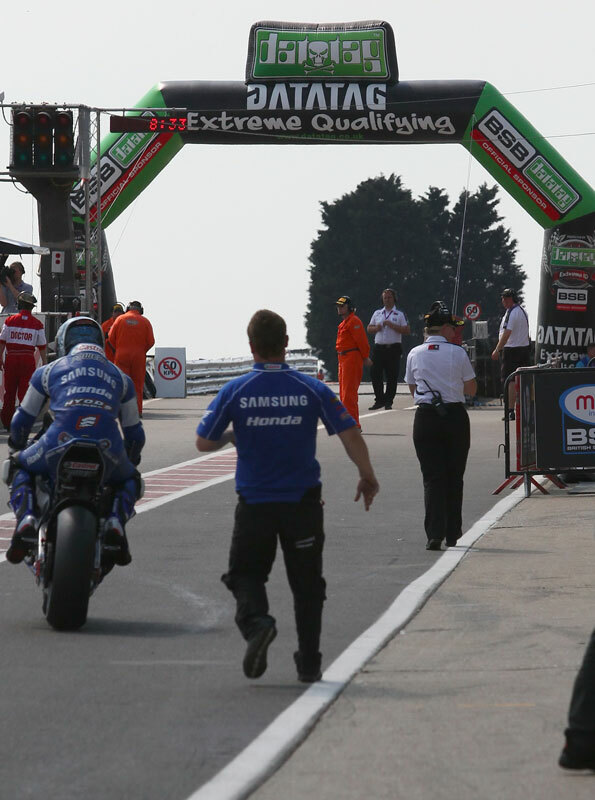 Lowes set the standard in the opening session as Byrne and James Ellison completed the top three, but the Samsung Honda rider continued to push the pace and when it came to the final Q3 session he was able to set the fastest lap of the 2.96-mile circuit to record his third pole start of the season. Lowes had led the pack into qualifying and after some big changes following yesterday's sessions he had the edge over standings leader Byrne despite the Rapid Solicitors Kawasaki rider attacking hard for the pole position. Josh Brookes was pushing the Tyco Suzuki but he was forced to settle for third whilst Ryuichi Kiyonari celebrated his first front row start of the season in fourth. 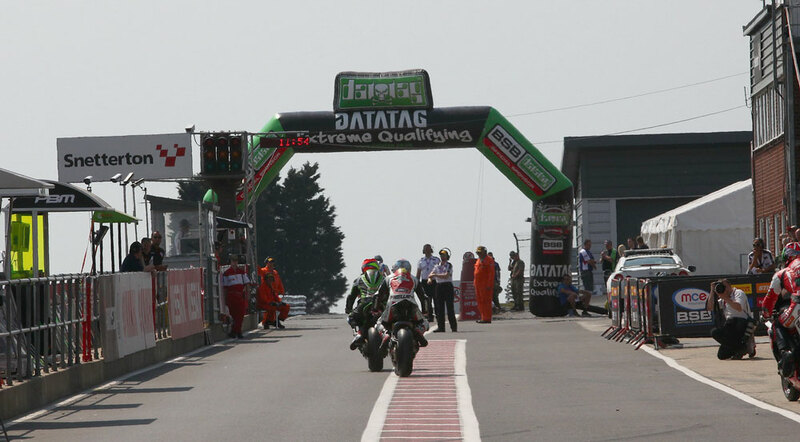 Milwaukee Yamaha's James Ellison made steps forward to head row two from Chris Walker and Tommy Bridewell, who equalled his best qualifying start of the season for Bathams Honda. Jakub Smrz headed Jon Kirkham who finished ninth fastest despite a technical problem at the end of Q2. James Westmoreland completed the top ten whilst Keith Farmer will be assessed tomorrow ahead of the races to decide whether he will line up on the grid after his crash in free practice three when he suffered a leg injury.